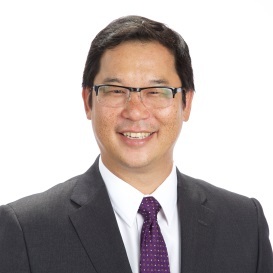 ABO would like to congratulate our own Dr. Stanley Woo on his new role as Director of the School of Optometry and Vision Science at the University of Waterloo in Ontario. Dr. Woo began serving on ABO’s Board of Directors in 2015 and has made many contributions to the advancement of Board Certification within the profession. Dr. Woo officially assumed his new role on July 1, 2017. Previously, he served as the Dean of SCCO at Marshall B. Ketchum University for four years as part of their evolution into an interprofessional health care institution incorporating a School of Physician Assistant Studies and College of Pharmacy. Dr. Woo received his OD from the University of California at Berkeley and furthered his education with a residency in Low Vision Rehabilitation and an MS at the University Of Houston College of Optometry. During his time there, he went on to serve as a faculty member, Director of Residency in Low Vision Rehabilitation, and Director of the Center for Sight Enhancement. He also practiced part-time in the Texas Medical Center with the Retina Consultants of Houston for 18 years and eventually earned an MBA with a concentration in medical and health care management from Rice University. Dr. Woo is a Diplomate in Low Vision, American Academy of Optometry (AAO) and the American Board of Optometry (ABO). He served as President of the Texas Optometric Association in 2010 and is a dedicated supporter of the profession. As an active volunteer, he has served the AAO, AOA, ABO, NBEO and the professional OD committee for the Accreditation Council on Optometric Education. Dr. Woo is excited about returning to his home town of Waterloo and to the University where his father, Dr. George Woo, OD’64 is Professor Emeritus of the Waterloo School of Optometry & Vision Science! His wife, Dr. Lisa Woo, OD, will also join the School as a clinical lecturer. We are honored to have Dr. Woo serve on the ABO Board of Directors and wish him all the best in his new role leading the future in optometric education and vision science for generations to come.